The landmark anime Evangelion evolves, reaching new heights of intensity in the feature film: Evangelion 2.22. In this explosive story, brutal action and primal emotion clash as a group of young pilots maneuver their towering cyborg Eva Units into combat against a deadly and disturbing enemy. In the battle to prevent the apolcalyptic Third Impact, Shinji and Rei were forced to carry humanity's hopes on their shoulders. 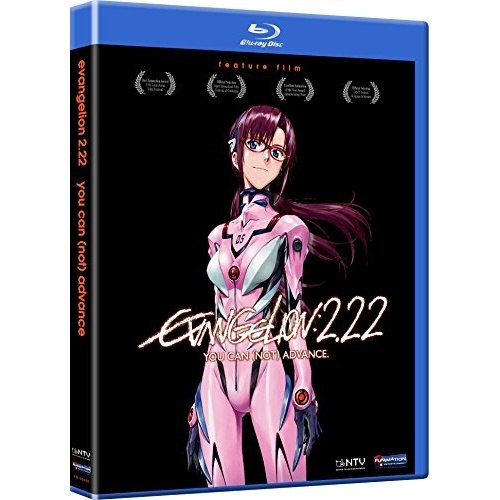 Now, as the onslaught of the bizarre, monstrous Angels escalates, they find their burden shared by two new Eva pilots, the fiery Asuka and the msyterious Mari. In this thrilling experience for fans of giant robot destruction, the young pilots fight desperately to save mankind - and struggle to save themselves.